Hear about the great value and amazing travel experiences available in Costa Rica? Why not bring a group of friends and enjoy the fun together - group travel to Costa Rica is an exciting and practical way to explore the country. 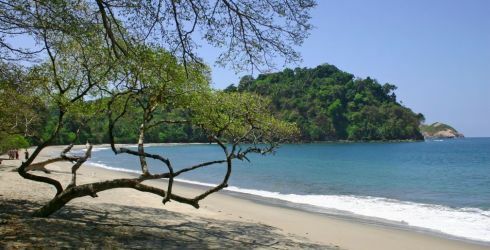 Whether you just want to chill out on the beach or instead explore some of the country's vast natural habitats for flora and fauna, Costa Rica has it all. And why not experience a place that has something for everybody with a few of your closest friends or family, spending quality time together that you'll be talking about for years. Consider this: If you have enough people in your group visiting Costa Rica, you could travel for free. Airlines and hotels often provide complimentary arrangements to the group organizer when processing a group booking. With so many types of activities, from relaxing beach stays to informative ecological tours or adrenaline adventures, you'll have plenty to choose from to build your Costa Rican itinerary. Be sure to consider plenty of time to allow individuals to opt in to specific activities or interests, as well as those all-important group events. Successful group trips give everyone time to be slightly independent so that no matter what your friends' personal interests are, they'll have the chance to do the things they want to do on their vacation, while not missing out on anything else. Welcome to one of the most diverse ecosystems in the world. Delightful variety awaits those with a curiosity to learn more about conservation, climate, flora and fauna. Active volcanoes, verdant rainforests and pristine beaches punctuate the rich biodiversity that makes up this central American country sandwiched between two oceans. Those with an adventurous spirit won't be disappointed either. Active pursuits abound in the jungles, mountains and ocean for those in search of excitement. So blast through the trees on a zip-line, climb a volcano, see wild animals from a kayak, surf in the Pacific Ocean, or soak up the sun on a deserted beach while bird watching. There's something for everyone in this land on the forefront of ecotourism. View the complete day to day Costa Rica Itinerary.